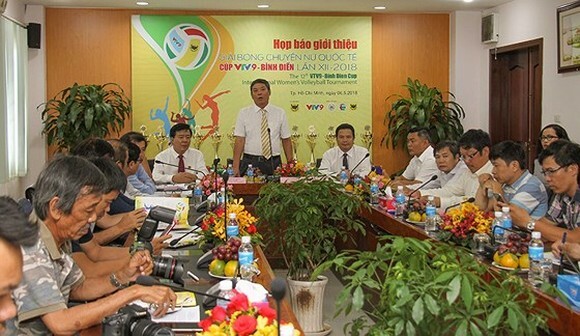 The 12th VTV9 Binh Dien Cup –International Women’s Volleyball tournament’s organization board held press meeting in HCMC, this morning. 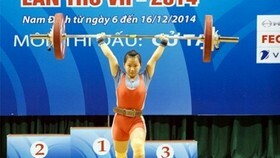 This year's event is scheduled to take place in the central province of Quang Nam. 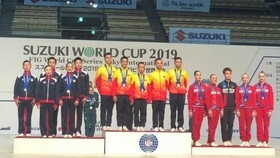 Eight teams have registered to take part in this year's tournament including three Vietnamese teams and five international teams: China, Postbank, Est Cola (Thailand), BIP (USA), Vietinbank (Vietnam), Almaty (Kazakhstan) and VTV Binh Dien LA (Vietnam). 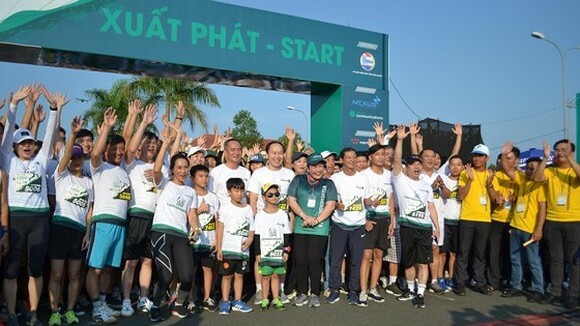 Deputy chairman of Quang Nam People’s Committee Le Van Thanh said Quang Nam’s stadium could receive around 2,000 fans hoping also that this event will help promote the province’s images, landscapes and tourism development to international visitors. This year, athletics will also join in a Vietnamese traditional Ao dai contest. 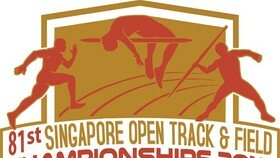 The tournament will start on May 12 and last till May 20.